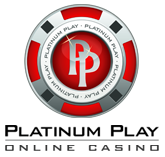 All Slots Casino is a part of the Jackpot Factory group of casinos that is highly respected within the industry. It’s licensed in Canada by the Kahnawake Gaming Commission, which is known as the most reputable licensing parties in the industry. You’ll find more than 250 games offered, including more than 150 top slots with software provided by MicroGaming. This includes several ”loud” titles that are created after popular movies, comics or characters. All Slots Casino is also compatible with multiple platforms, which includes having an instant play client for those that use Mac or Linux powered computers as well as a downloadable version for users of Windows powered devices. 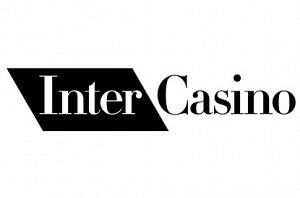 There also was a relatively recent addition of mobile casino compatibility that allows users of most smartphones to access a handful of games. Devices like BlackBerries, iPads and iPhones are all compatible. Having more than 150 slots on the offer surely stands for something and cements the position of being a true slots casino even more. We’ve gone through most ones that are offered and have handpicked a couple to use for brief reviews. Find a list of top 5 slot machines to play at all slots casino below. The Dark Knight – themed after the superhero Batman, The Dark Knight is an exciting 243 ways to win slot machine that also offers a progressive jackpot up for grabs. If you’re looking for a great, visually appealing slot game this will be a great match. 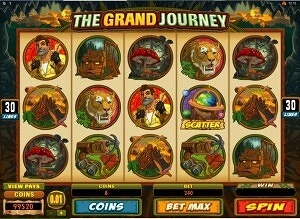 Mega Moolah – this jungle themed progressive slot is known worldwide. Mainly due to the fact that it offers HUGE jackpots that can be won in a really exciting way – by spinning a huge bonus feel. Mega Moolah offers 5 reels and a chance to play up to 25 pay-lines that are filled with scatters and wilds. 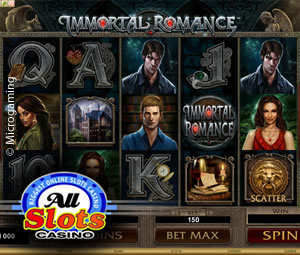 Immortal Romance – also a new addition to the range of games powered and developed by MicroGaming. Immortal Romance is a dark love themed game offering 243 pay lines and a maximum win of 3,6 MILLION coins. Break Away – winter sports, mostly hockey themed slot game that features 5 reels and 243 ways to win. Look out for the sticky wilds that turn the whole reel into wild, guaranteeing huge payouts! Loaded – a highlife themed slot machine that visualizes the perks of having a lot of money and pretty much no limits at all. Win up to 150,000 coins or enter the bonus game where you have to choose from 3 chicks to win free spins with a multiplier of up to 5x. Join All Slots Casino and claim your $200 welcome bonus as well as 10% cash back on your deposits!